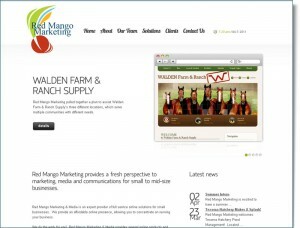 One of the most prolific public relations firms that we know of, Red Mango Marketing is one of our most valued clients. We work closely with them and their clients to help make their marketing efforts look as good as possible. Now with a Content Management System foundation to work from, they have the control over their own website that they have worked so hard to provide for their clients. If you need someone to make updates to your website, facebook page, twitter feed and newsletter subscribers, then Red Mango Marketing is the firm for you, check them out!